12" , 18" , 24" BUCKET AVAILABLE. CUSTOMER IS RESPONSIBLE FOR FUEL AND DAMAGE TO TRACKS. LOW SULFUR OR ULTRA LOW SULFUR DIESEL FUEL ONLY. DO NOT USE OFF ROAD DIESEL. 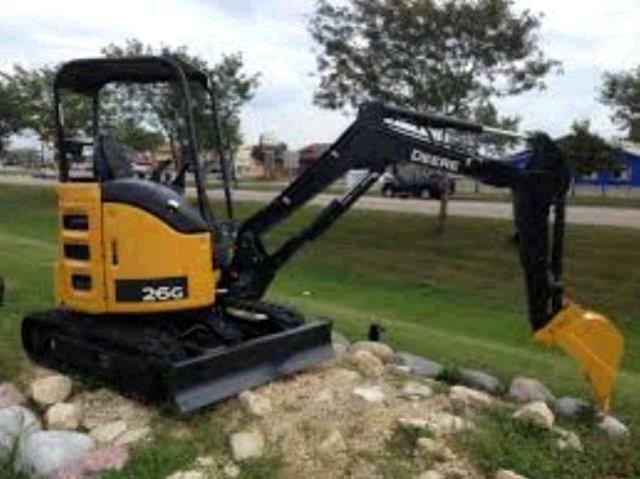 * Please call us with any questions about our mini excavator in Wilmington, Middletown, and surrounding cities in Northern Delaware.